And so I went with it, in spite my lingering uncertainty. In terms of an assigned audience, women certainly is a good one. Women read more books than men. They purchase more books than men. They belong to book groups to discuss what they read and why it matters. Plus, women are more likely to pass around good books, to recommend them to anyone who asks. The emphasis on genres like women’s fiction is relatively new. It wasn’t that long ago when bookstores were less label conscious. They always had different shelf spaces for non-fiction offerings, so we could find a book about Grizzly bears without weeding through the entire gardening section. But fiction encompassed everything from romance to mystery. Now, the genre labels on the bookshelves are like highway directional signs, brightly-colored and plentiful. This is a good thing mostly. When we walk into a bookstore, we can walk directly to the area of our interest. Military history? Cooking? 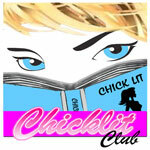 Chick Lit? Biography? These various sections allow us to quickly find a book we want to read. People can barely find the time to sit with a book these days, never mind leisurely wandering through the aisles of the local bookstore. As well, myriad genres help publishers market a book to a targeted audience – again, getting the book we want to read into our hands faster. 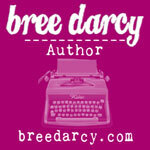 My covers, with their floral arrangements and pastel colors, appeal to women. Further, publishers can advertise their women’s fiction offerings in women’s magazines and at conferences and events attended by women. My hesitancy at embracing the women’s fiction genre assigned to my work is this: When we cater only to women readers, we miss the men. We make the assumption that men would not be interested in a story about relationships among family members or close friends – when, in fact, it’s just as good and valuable for men to read about these relationships as it is for women to read about them. Men are surrounded by women, from their mothers and wives, to their sisters, co-workers, friends, and neighbors. Couldn’t a man want to explore through fiction why a wife isn’t happy in her marriage or how a mother can come to favor one child over another? Wouldn’t it be cool if a man felt comfortable reading a book with roses on the cover? Women, too, might want to think about occasionally busting out of their preferred reading genre to learn about something new. As my husband routinely tells me when I yawn about his interest in the history of World War II battleships or Sherlock Holmes mysteries, there’s more to these genres than what appears on the surface. Holmes stories are not just about detective work. They’re also about the Victorian Era: the rules, the dress, the mores, the language – an engaging history lesson wrapped up inside a crime novel. 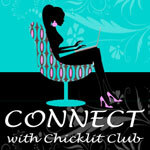 Women’s fiction, as the name implies, is targeted toward women. But its content is designed for both women and men – for anyone who wants to read about the core relationships and issues that drive and define partnerships, identities, and, ultimately, satisfaction. Before writing fiction full-time, Susan Kietzman wrote in several other capacities – as newspaper reporter, as corporate client wordsmith, as museum fundraiser. She also taught English and public speaking at two community colleges. Every Other Wednesday is her fourth novel, and was released by Kensington Publishing on April 25th. Her previous three novels, also published by Kensington, are The Good Life, A Changing Marriage, and The Summer Cottage.